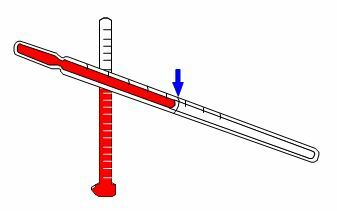 The Italian scientist, Galileo Galilei, created one of the first thermometers in the late 1500s. It was a rather simple apparatus involving a long thin tube, open at one end, and a pan of water. Students can replicate this experiment, demonstrating the principle that air expands when heated.